GATE 2019 Cut-off Marks – Check Here! “What would be the Cut-off for Mechanical Engineering in GATE 2020 exam ? Graduate Aptitude Test in Engineering (GATE) 2020 examination is going to conduct by Indian Institute of Technology (IIT), Delhi on 1, 2, 8 & 9 February, 2020 . Candidates who prepare well for this year GATE exam are eagerly waiting for the official GATE 2020 cut-off marks for qualifying GATE 2020 exam. 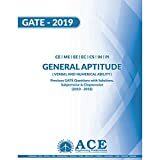 Graduate Aptitude Test in Engineering (GATE) is an all India level examination that primarily tests the knowledge of the candidate in various undergraduate subjects in Engineering / Architecture / Technology & post-graduate level subjects in Science. The Indian Institute of Science (IISc) and seven Indian Institutes of Technology (IITs at Delhi, Bombay, Guwahati, Kharagpur, Kanpur, Roorkee and Madras) jointly administer the conduct of GATE examination. This year GATE 2020 exam is going to conduct by IIT, Delhi. Candidates whose GATE 2020 exam paper has been conduct are willing to know the GATE 2020 cut-off marks as nowadays GATE exam conducted by GATE organizing institute in various sessions and at different-different day and/or time. Here in the below list we have provided GATE 2020 expected number of candidate appear and cut-off marks on the basis of previous years record. #Note : Expected cut-off marks for GATE 2020 examination calculated by our team as per previous years records. It is for analysis purpose. Final cut-off provided by GATE 2020 office may differ from the above cut-off. physics is not in any of the list! please tell about Physics expected cut off ?? why no information is given about this? are u sure gate cut off for mechanical will reduce to 24 26 range? gate 2016 architecture cut off ?? As per the statistics in previous years the no. of students in EC branch are continuously decreasing then the expected students has to be around 1,50,000-2,00,000. 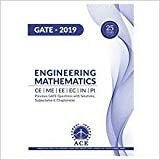 May I know analysis about gate 2016 for Physics subject? ?